Hi, This is first approved Stock ROM V1 for Micromax A300 Canvas Gold by Micromax. You can get Stock Rom V1 of Canvas Gold and flashing/updating guide by this post. The Micromax A300 Canvas Gold has superb performance, you must be root your phone, because root allows for you to use a maximum of your phone without any restrictions.After root you will install custom apps, ROM and setting in your phone. After root you can install custom Rom, custom setting and apps on your phone. Read Root Advantage and Disadvantage by this post then root your phone and install CMW recovery on your Micromax A300 Gold click here. 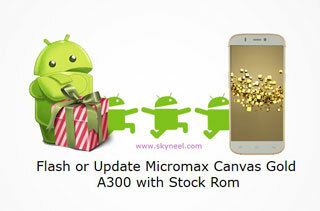 I hope you like this Stock ROM V1 for Micromax A300 Canvas Gold installation guide from which you will be able to easily install Stock ROM V1 for Micromax A300 Canvas Gold without any extra efforts. If feel any problem in this guide then please use comment box. Thanks to all. Sir please tell me will it removes my root??? my phone is rooted after doing this my phone will be unrooted? 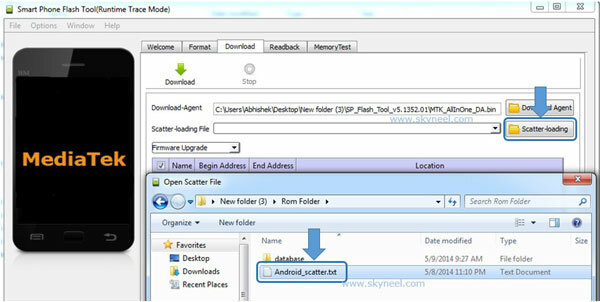 hiii i have micromax a300 few days ago i rooted my phone with king root and it worked fine but after installing titaniumbackup and after converting some downloaded apps to system app, phone will halflybricked. now phone will not start and boot screen will continuously seen, please help.